Many people don’t realize that cerebral palsy (CP) is often the result of an infant brain injury. Our family faced this very frightening circumstance when our daughter Maya was just 34 weeks old and one week after she was born. It was an unexpected event and scary. The worst part about it was that when I asked my husband Blake (a physician) what they do for that he said, “Nothing.” I asked him this question again wanting to make sure I heard him correctly. He went on to say, “We wait and see.” To this day these words haunt me as one of the worst injustices of infant care that affects babies and their families for their entire life, my own child included. With my limited knowledge of medicine I knew there were strict and immediate protocols for adults who have strokes and brain injuries to ensure the best possible outcomes. How could there be no protocols for our tiniest humans with tremendous potential for change? Over a period of three years this question drove me to uncover a host of serious issues that were not being addressed for the CP community. After Maya left the NICU (six long weeks) time moved along and we wondered if we would be facing a diagnosis of CP (because “wait and see” has also been the way CP has traditionally been diagnosed). Our feelings of anxiety and tension related to observing Maya’s development were overwhelming. Would she be able to sit, walk, talk, see, hear, be able to eat, and on and on? These are skills that many parents take for granted, but for the parent of a child who has had a brain injury they hold tightly to each moment hoping their child will keep gaining skills and improving. It’s beyond painful. 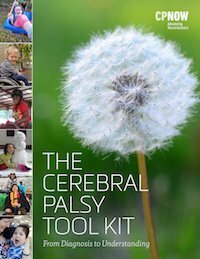 I rarely discuss cerebral palsy on our blog and facebook page in the context of fear, pain or difficulty. I do this purposely because I want people to understand and to see the potential in my daughter and other people with CP (and other disabilities). But at the same time, perhaps some of you reading this may not realize why I got into this work and why I remain so committed to it. I got involved because whether you are a parent or individual with CP, this is at times a very challenging and painful road and I knew it could be better. At the time Maya was born there was no national nonprofit actively working to support people with CP and their families. 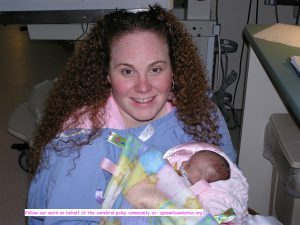 When we left the NICU, I couldn’t find a resource online that offered reliable, supportive and comprehensive information. 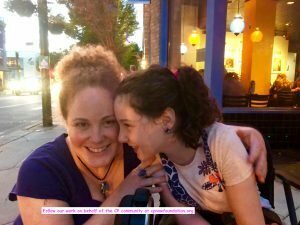 It wasn’t ok and I decided to do something about it by creating the resource website and blog CP Daily Living and eventually our nonprofit CP NOW. There is so much work to be done for this community but CP NOW is helping to mobilize change in the areas of community and clinical education, family support and funding pilot studies to bring new treatments forward. As 2017 comes to a close, please consider contributing to our work. See our new historical timeline to learn about our accomplishments this year and our plans for 2018. Donate today and help us meet our December fundraising goal of $5000.00! We are just $500.00 away. It was such a pleasure to meet you today at the Life Center. I heard “Lily” not Maya so tell Maya I am so sorry. She’s tough. So is her Mom! But you both are an inspiration. I’m going to send a contribution by mail in honor of Maya and her determination. Hope to see you both at the Life Center again.